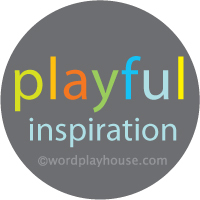 about wordplayhouse Add creative playfulness to your child's day with our creativity-building project-making, exploring, wholesome baking, and our reading and telling stories together on wordplayhouse®. We share wholesome ways to spend time together with simple playful recipes for young helpers, imaginative play and project ideas, and simply the best books to read together. We hope our creative explorations spark ideas for yourself and your family. 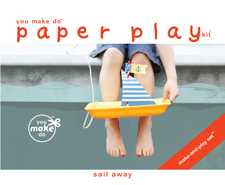 A playful place created by mother of more than a few children and New York Times bestselling children's book illustrator and author, Heather Cahoon. about our family at wordplayhouse We share our under-scheduled life lived on a wooded hilltop, with a treetop view in the summer. When the winter trees are leafless, our night time view is of sparkling lights along a river far away. Here in New York, we see seasons turn in the color-changing leaves, the arrival of snow, and the new buds of spring—just as I did as a child growing up in MInnesota. I can share many of the same childhood experiences that I had with our children here—sledding, snowman building, swimming and hiking in our own woods. As much as we explore our own woods, we often venture off to see the rest of our side of the world too. Several times a year, we pack up the camper or the tent and visit a few National Parks, a new place, another adventure. The outdoors. Here, our quiet home is a workshop of creativity. Our children enjoy drawing and creating as much as I did as a child, as much as I still do. Our kitchen table is as much a workshop table as it is used for our lively mealtimes together. My delight in creating has been bestowed with so many fortunes. A childhood fancy, to once-upon-a-time, have one book published, became real, twelve times. Each time the printed books were delivered to our door the first time; we would eagerly open the box like a present. Sitting together, I would share the enjoyment, the challenges, and the creative journey, of finally holding a published book in our hands. The smiles on their faces, enjoyment of my colorful creation now in our laps. A most joyful reward they were now sharing with me. The most wondrous part of the creativity our family has been given, is the every day gladness it gives us. Enjoying each other. Creating together. Please subscribe to continue receiving what we share. We love to know you enjoy wordplayhouse®; and our posts aren't just getting lost, unread, in the sea of wonderful websites out there. 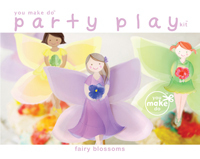 Explore my designs in our family's you make do® shop and on Etsy too.